1155 sq ft fronting Scottsdale Road just south of 5th Avenue. Retail business preferred, good parking, no restaurant or food/drink businesses. Additional free parking in city parking garage at back of property. This space has been leased, please contact us regarding others available. 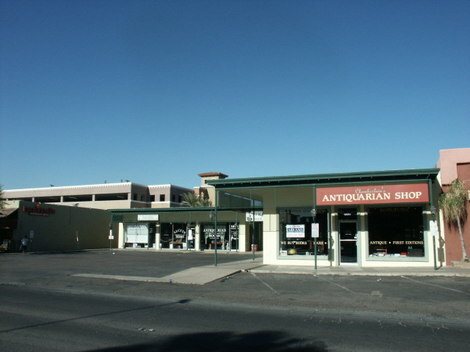 1800 +/- square foot space fronting Scottsdale Road just south of 5th Avenue. Property ideal for retail with great street exposure, excellent parking and signage, no restaurant or food/drink businesses. Additional free parking in city parking garage at rear of property. Lessee to pay own water, electricity and building maintenance. Lessor will consider a 5-year lease.